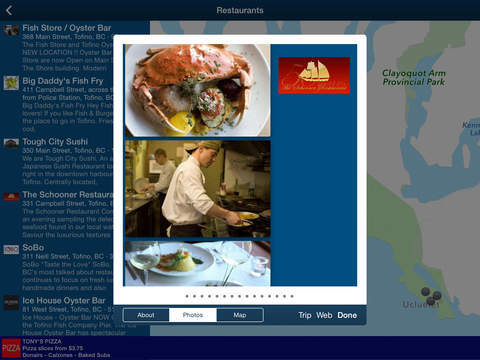 Tofino App Travel Guide with Tofino Hotels & things to do in Tofino on the West Coast of Vancouver Island BC, Canada. 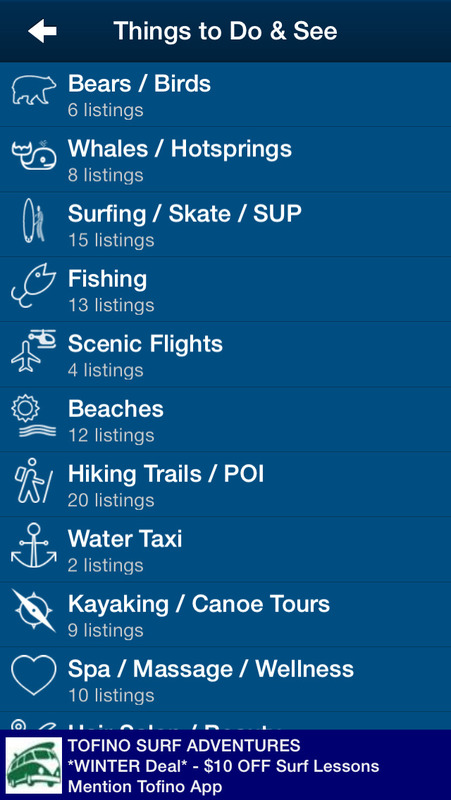 Explore the Tofino and Ucluelet area from the palm of your hand. 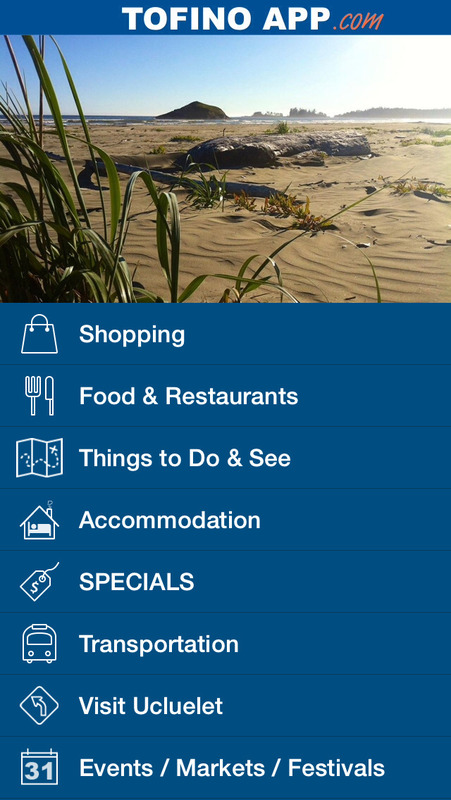 Read Info About & Navigate to Shops - Restaurants - Whale Watching Companies - Surf Shops - Accommodation - Art Galleries - Fishing Charters & Much More. Detailed route Maps and Turn by Turn directions will guide You to Your destination. Find the Best Deals in Tofino - What's Nearby - Beaches/Trails - Photos - Videos - Local Websites and Events/Entertainment. Whether You are looking for pure Adrenaline - Food - Accommodation or Relaxation. 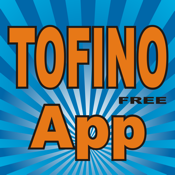 You can find it on The Tofino App ! Made by Tofino Locals, a Travel Guide to Everything that this Beautiful Area has to offer.